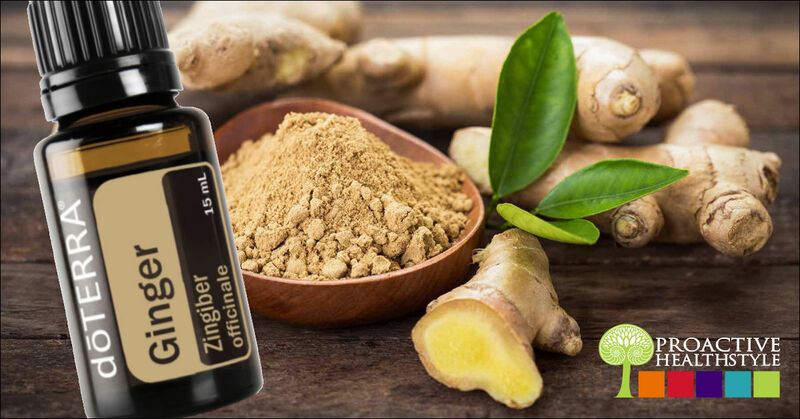 Zingiberaceae is the family of Ginger. I love the name, Zingiberaceae, it sounds like a superpower with zing and power. When you consider the other members of this family; turmeric and cardamom, it becomes apparent that zing and power are absolutely true. An interesting historical note about ginger is that Chinese sailors took it to ward off scurvy. It's high in Vitamin C, who knew! As well as preventing the dreaded scurvy it also calmed motion sickness, helped warm the body and increased mental focus. I think the Chinese had a far better answer to scurvy than the British did with their limes! Ginger is a hot oil that moves fast. It is classified as an antibacterial, analgesic, aphrodisiac, stomach tonic, anti-nausea, stimulant, expectorant, warms the skin, increases blood flow, reduces fever, stimulates and clears the mind. Wow, it really does have superpowers! I love natural medicine; it works on so many levels! That’s due to the impressive complexity of essential oils. Ginger Essential Oil is a balance of 115 different chemical components. There is a synergy in all of that complexity! About 90 percent of the chemical make up is sesquiterpenes, defensive agents that have antibacterial and anti-inflammatory properties. That being said please don’t take any of the following as medical advice. You know the drill! A doctor’s advice is always recommended by law! In researching ginger essential oil one of the things that stood out is recommendations that it be used on a regular basis to take full advantage of all of its benefits. In the respiratory system, it dissolves old mucous as it warms and drys the lungs. Considering that old mucous is where pathogens hang out it’s an important oil for those who are sedentary. Ginger essential oil helps the body to break down and get rid of old mucus. It's also a bronchial dilator and increases airflow to the lungs, making breathing easier for those with chronic respiratory problems. Create a tent over your head with a towel and lean over the steaming bowl of water and essential oils to clear sinuses. Please make sure that the steam isn’t so hot that it causes discomfort to the mucous membranes. Ginger combined with lemongrass is a great chest rub for lingering coughs according to work done by Dr Susan Laughton. Ginger can also help with environmental smells. If you are in an area that you can’t get away from the smell…try diffusing ginger essential oil. As was said before ginger is a hot, fast oil. As a circulatory stimulant and tonic for the heart, it is a great oil for a tired heart. It warms the body and increases blood flow. This is especially nice for those that suffer from joint pain in cold damp weather. It's also a boon for athlete’s that want to improve their performance by improving endurance and stamina and muscle strength. All factors associated with increased blood flow. It's circulation stimulating property coupled with it's warming properties do a lot for alleviating pain and muscle soreness. But there is more to ginger’s pain relief, it's an anti-inflammatory and ginger also affects the nerves carrying messages of pain. One of the amazing things about ginger oil is its ability to act on the brain without affecting the central nervous system. This is a trait usually associated with the sedative opiate drugs that are derived from opium. Imagine the types of pain that a narcotic opiate might be used for pain management. That narcotic opiate is addictive as well as pain relieving. Ginger oil doesn't have any addictive qualities and when applied to an area with pain the body absorbs the oil and processes the ginger oil through the system right to the brain. It soothes the messages of pain without making you sleepy. Learning to use essential oils for pain management is something well worth investigating if you suffer from pain and want to stay away from the dangers and side effects of standard pain medications. Here is where ginger originally gained its glory, as a wonderful aid for an upset stomach. When I was an open ocean sailor this was my favourite solution for seasickness. While others were using some powerful pharmaceuticals and suffering the side effects I was sipping on ginger tea. My side effects were getting warm and focused. A drop of ginger essential oil on the wrists should be perfect for seasickness or motion sickness of any sort. Clinical studies have shown that Ginger oil inhibited the growth of H. pylori, the bacteria responsible for stomach ulcers. As is common for essential oils a very low dose was most effective. It's also been shown to reduce intestinal spasms which are really a boon for those with IBS, fibromyalgia, anxiety and, eating disorder, substance abuse and neurological disorders. Some of the chemical components in ginger help to increase gastric motility, the speed at which food moves through the gut, this is really helpful for constipation and for problems with reflux. A constipation blend that I took from an old website speaks to severe constipation. Keep in mind that constipation means that toxins are being held n the body instead of being eliminated. Ideally, we should have 2 poops a day! Mix all ingredients together and massage the abdomen twice daily following a clockwise rotation. Once constipation is passed and toxins are released from the system stabilize the gut with GX assist for 10 days. That will help to clear out some of the other pathogenic bacteria and yeast hanging out in the gut. Also its really important to drink lots of water…2 litres or more through the day. Essential Oils are cleansing. Always, always, always increase your water intake with essential oil use! After the 10 days, start with PB Assist; doTerra’s great probiotic. Repopulating the gut with good probiotics is a part of a healthy lifestyle. Clinical research has shown that using Ginger essential oil in an aromatic bath can reduce the second stage of labour. It increases contraction, causes the cervix to dilate faster and may even decrease pain. This is the perfect oil for those that find themselves stuck and unable to move forward in a successful manner in life. They may be stuck in a victim or survivor mentality and unable to take complete whole-hearted responsibility for their own life. They always have a circumstance or another person to blame. In traditional Chinese medicine, Ginger is used to strengthen Kidney Yang which is related to will and motivation. Ginger brings purposeful, empowered committed, accountable capable action. It infuses a focused mentality based on integrity, personal responsibility and individual choice. Cautions May interact with blood pressure medications, blood thinners and anti-epileptic medications.